I can’t believe Christmas is just over a week away! Our family is SO excited for the holiday this year– it changes everything that both kids are old enough this time around to really participate. I feel like a kid again getting to experience everything through their eyes! We’ve been having a blast participating in all the holiday things: baking cookies, going to holiday shows, using our advent calendar, seeing what our house elf gets up to every day. It’s a lifestyle! LOL. Here’s everything we’re looking forward to this Christmas! Kyle and I both LOVE holiday movies, but our kids don’t really have the attention span yet. We actually love lighting a fire in the fireplace, ordering in, opening a great bottle of wine, and cozying up together to watch our faves after the kids are down. Some of our favorites are: Love Actually, The Holiday, Elf, Meet Me In St. Louis, The Santa Claus, Miracle On 34th Street, National Lampoon’s Christmas Vacation, and Home Alone. Marlowe has been begging me to go ice skating since last year, and this year I think she’s finally old enough for it not to end in total disaster. I can’t decide if I want to take her for a classic NYC experience, or try it out first somewhere more close by. I’m not the best ice skater myself, so I will definitely need to have her push around one of those little kid stabilizers! Every year, I have my kids pick out a selection of toys to donate to less fortunate children. I think it’s really important to teach them how lucky they are to get new presents for Christmas, and involving them in the process early on helps them understand how crucial it is to give back. This year we plan to get together with a couple family friends and all their kids, and make cookies together for Santa on Christmas Eve! We always make Christmas Eve cookies, but I thought it would be great to start a tradition for our kids and their besties. I love having a house full of people, and I plan on ordering pizza and staying in jammies while we bake. Marlowe decided this year that she wanted everyone in our family to “dress handsome” for Christmas Eve dinner. The idea of doing that together, just the four of us, in our own house seemed a little bizarre…Ha! So we decided to go out for a nice family dinner all dressed up on Christmas Eve. I love that Marlowe is following in my Fancy Nancy ways. LOL. Last year we started a really fun tradition where we went out driving for an hour searching for the best Christmas lights and house decorations. We blasted Christmas tunes on the car stereo, and we each picked our favorite house. We will definitely do that on our way home from dinner this year! We always go to bed in matching holiday Jammies on Christmas Eve. This year we will be wearing these ones, and I can’t wait! One of my favorite things in my whole life is hearing my kids realizing it’s Christmas Day right when they wake up in the morning. Watching them walk in to the Living Room and see their presents from Santa literally makes my heart swell at least two sizes. I wake up a bit earlier than them on Christmas morning so I can get a video of them walking in to the room, and also so I can make some biscuits for us all to eat while we open presents and stockings! Pancakes on Christmas morning are a must for our family. I put chocolate chips in them for the kids. Last year I got an amazing waffle maker and we added some Christmas morning waffles. They were a hit! On Christmas Day, we’re having some family over for dinner! I ordered a HoneyBaked Ham, and I’m making Brussel sprouts, Mac and cheese, goat cheese & Chive whipped potatoes, and fresh rolls. We’ll probably have some great wine too! Last year, Kyle and I bought great champagne, lots of caviar, and stuffed our faces on New Year’s Eve while playing Scrabble. We had such a great time, and it was especially fun since he had to work so early the next morning. We weren’t officially partying, but we weren’t being total Debby Downers either! I think we are going to repeat the experience this year, and maybe throw another game in to the mix too. Let me know if there is a great game you love playing as a couple! What are you looking forward to the most this Holiday season? Let me know in the comments below! Love all those traditions. Sounds like you will have a great holiday! Enjoy your time off. Oh, and I’m definitely copying your Christmas dinner menu. I’m hosting Christmas dinner and haven’t even started planning the menu yet…. Sooooo thanks! How fun! Have you tried ice skating at Longshore? It’s so easy and the views aren’t bad either. Much less daunting than going to skate in NYC. May be fun to try that with Marlowe! Merry Christmas! I haven’t! But sounds perfect for us! Love your holiday plans! Enjoy your family and relax. This is a great list! I might have to incorporate some of these ideas into our holiday itinerary as well. Have a wonderful Christmas and enjoy your much deserved break! I’ll be stealing a few of these! Skipbo is a favorite in our family – we play as a couple and with our daughters. It can get competitive! OMG how have I not even heard of this game?! Ordering immediately thank you! Love these beautiful plans! 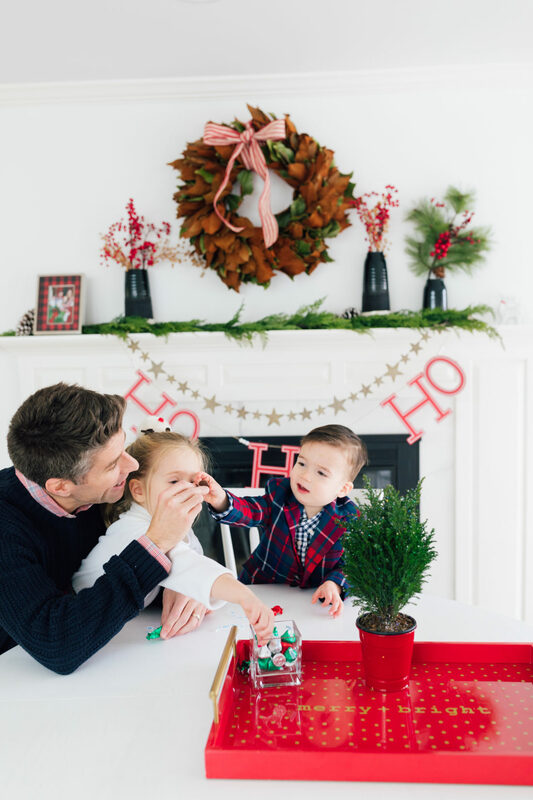 The holidays are so much more fun with kiddos, right?! 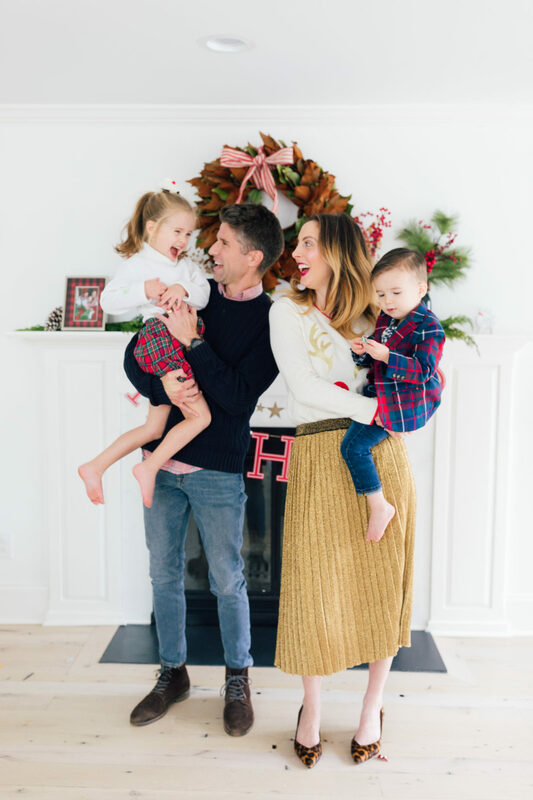 I love your blog and your insta platform…enjoy the break with your family!! Love all the traditions and family fun! I am having trouble getting in the spirit still but maybe if I wrote out our fun plans and family traditions it will help. Thank you!! Yes! 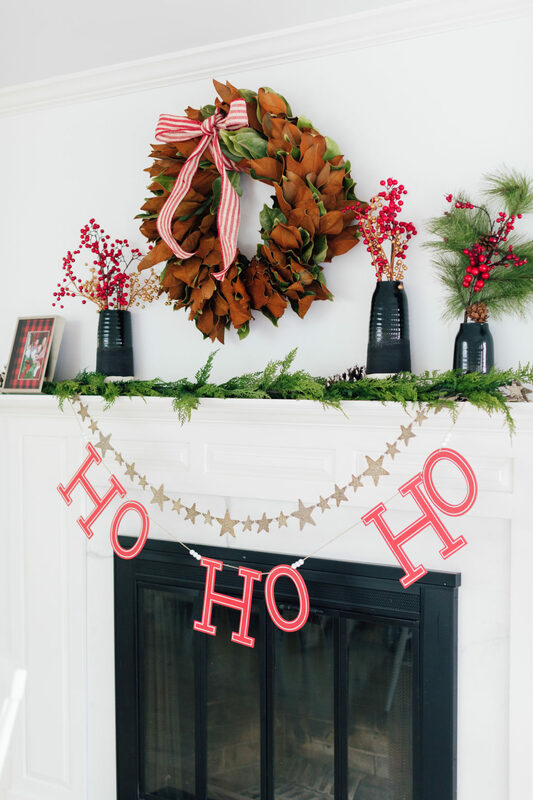 That’s a great idea for getting in the holiday spirit! Sounds like a fabulous holiday. Have a Merry Christmas! Thanks so much same to you! Hi Eva. You have such a cute family. I usually spend the holidays with my sister in laws. I like that. I used to spend it with my nonna when she was alive she passed in 2013 I just am looking forward to having some quiet time and ringing in the new year with a party. Looking forward to making my own new memories. Thanks Irina! Same to you! So glad you’re taking some much-needed time off! Your plans sound so fun and festive, can’t wait to see what you share on Insta! Your holiday plans sound a lot like ours! Christmas eve we order in and do movies and we do cinnamon buns Christmas morning while have coffee and open gifts. This year after losing my dad it’s my first Christmas without both of my parents I’m switching things up a bit and having my best friend and her family over for brunch… I’m looking forward to keeping old traditions and starting new ones. 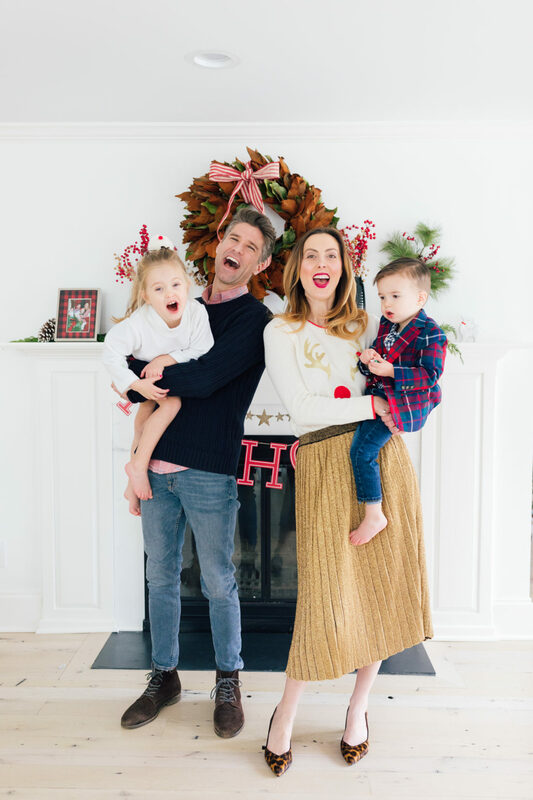 Your NYE sounds perfect, staying in with my hubby and reconnecting while welcoming 2019 is just what I need! Sounds amazing! It seems like you have the perfect mix of family time and being social (and dressing handsome! haha). Fancy Christmas Eves out are so fun but I also LOVE staying in on New Years Eve. This year we’re going up to Maine to watch movies, play games, eat charcuterie and drink champagne by the fire (and to decompress after a week of extended family!) Hope you have a really wonderful, rejuvenating holiday season! We love Parcheesi and pâté for game nights! Enjoy! The NextDoor app has a great map for finding streets that have houses decorated for the holidays. Makes the hunt a little easier. Happy Holidays! You guys are so cute!! Happy holidays!! Can’t wait to see where this year leads you! Very excited for all your holiday plans! Do you have a non-dairy Mac and Cheese recipe? Enjoy your vacation and Merry Christmas! I don’t 🙁 I usually get the Daiya one for myself if I’m eating it. Otherwise I just make in the slow cooker for my fam! I’ll try out the Daiya one! I’m allergic to cows milk now so at least I can still get Mac n cheese in some form! I’ve tried Dayia mac and cheese with lacteeze mill and goats butter … also rice macaroni, it works wonderful just need to make sure you whisk it a lot to incorporate properly .. do it gradually, works best. Good luck! I love your breakfast room mantle! Those are lovely Christmas traditions. I am looking forward to Christmas Day I just love watching the kids open their presents and then we’re having family over for a lovely dinner that night – my husband wants to have goose! I hope he’s making it lol. Merry Christmas! Thank you for sharing! I love traditions. Our big celebration day is Christmas Eve and every year, My grandfather and now my father read us T’was the night before Christmas. Love love love it!! Ah I love your holiday spirit! It’s making me excited and helping me not focus on the stress that comes with all the planning and executing lol! My kids are finally old enough to participate too this year! And I definitely feel way more into Christmas this year because of it! Happy holidays!! Sounds so nice! Love the dressing handsome comment. 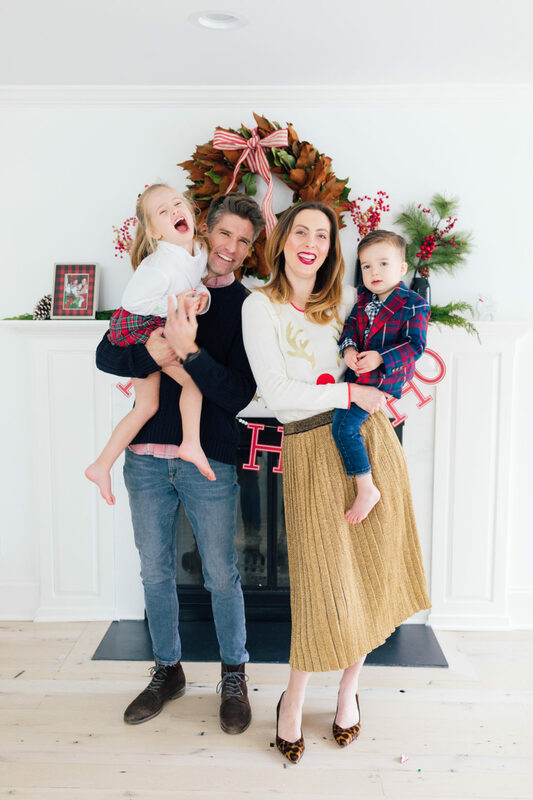 I love all of your fun holiday traditions!! It’s always been a dream of mine to go ice skating, but you have to BALANCE to do that & that word just doesn’t exist in my world haha!! I lived away from my immediate family for almost 10 years & missed a lot of family Christmas’, so all of us being together is my favorite thing about the holidays.. One of my favorite traditions that my 23 year old brother & my 35 year old self have started up again is sleeping in the family room near the Christmas tree on Christmas Eve night! It was our annual tradition when he was little.. We would set up all of our blankets & pillows on the couches, make hot cocoa, leave out cookies/milk/carrots for Santa & the reindeer, watch some of our favorite Christmas movies, and pass out LOL!! Then in the morning we would wake up to all of our presents from “Santa” under the tree.. We are pretty deep sleepers so it wasn’t that hard for “Santa” to set everything up haha!! Can’t wait to check out your IG to see all the fun you guys have next week!! Christmas is a week form now and there are still so many things to do. We definitely get some sort of jammies or footwear for Christmas eve/morning. This year my mother in law got us the snoopy ones from the same website … we also donout version of white elephant on Christmas eve and the next morinig we open preents for over three hours… there is 13 to 15 of us so it can get to be a long morning. We then have a delish breakfast with bagels loc and champagne … no kids yet so its all adults … we play tons of games and snuggle at some point with a movie. My husband and I do get some alone time to open special presents and try to get time alone… we are trying to make out own traditions and things like spending time together and reading or watching a special movie/book are the best. Thanks for the ideas for NYE. We always do prime rib sprouts and taters .. his fave. Donating is important to me so this year i will buy dinnes for a special foundation. Have a Great Holiday Eva and fam and to all here that follow you! Such fun plans! Do you have a great Mac and cheese recipe?! Hope you have a wonderful holiday and and that it is a joyous and memorable one with the family. My kids still do gingerbread houses and cookies and board games with me so I enjoy the time together. The break from school routine is so nice also. My husband and I play a game when commercials are on where we try to guess the voice in the commercial if it is someone famous. We dont really keep score but we are always so proud if we figure out whose voice it is on a new commercial 😊. Have the most wonderful holiday and well deserved time off! I also recommend Boggle for your NYE game night! Hubby and I LOVE Scrabble too! Looking forward to continuing to celebrate this year… got married both turned 50 and my stepdaughter started college! 2018 was one for the books! Enjoy your last Christmas in your beautiful home! I am not a mom but i love your blog! I came across it when i was looking for a mulled wine recipe and have been a loyal reader ever since. I am single and committed to making my own traditions. I love sending funny cards and magnets to friends and this year I’m taking the train to Montreal to see friends and enjoy a spa for the day. They just opened a new ice skating rink in Mill River Park in Stamford. Great size (bigger than Bryant Park) and outside surrounded by Christmas lights. A great new local experience! We love the movies Elf, Home Alone and Christmas Vacation. We drive and watch the lights too! Christmas Eve we have traditional dinner (pernil and rice w/ gandules (a pigeon pea) We bake cookies. Christmas Day we have Brunch (ham, mashed potatoes and buttered corn, w/ rolls) and open all our gifts as a family. Merry Christmas to your beautiful family! Enjoy your time off! Love the hunt for holiday lights on Christmas Eve! What a fun tradition. My family exchanges gifts at midnight and we have a dance off countdown until the clock strikes twelve every Christmas Eve! Unfortunately no one is in any shape to hunt for holiday lights (cue champagne bottle pop) Xmas eve night so we can’t add a holiday light hunt to the list of traditions. Whomp, whomp. But no worries the whole gang crashes at the host’s home and in the morning we recover on coffee,Christmas cookies, and take our new gadgets for a spin!